The whole Ateneo de Manila Community is welcoming their newest recruit all the way from Thailand, Nattanicha Jaisen! 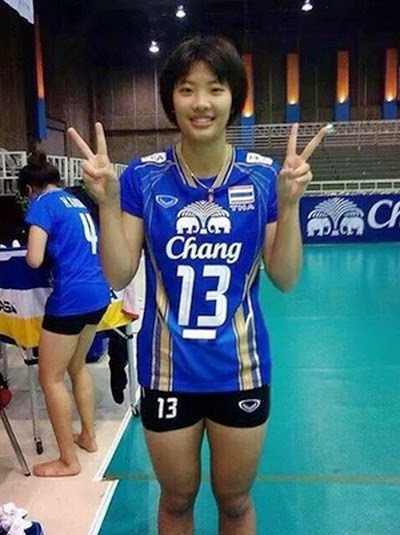 According to the Lady Eagles Page, she's a 16 year-old Thai volleyball player. She will be playing in the UAAP for the Ateneo Lady Eagles for 5 years. But first, she will have to undergo a two-year residency period. Her height 6'0 and she's a utility spiker and a setter.